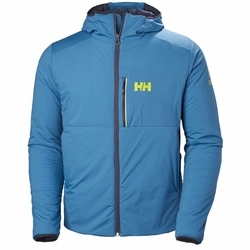 Helly Hansen Odin Stretch Insulated Jacket. A super lightweight insulator jacket featuring Primaloft Gold Active stretch insulation. This insulator, with its high clo value and low weight, gives you light, breathable and stretch performance for all your active pursuits.